New to Brunswick and already working hard to engage and work with the community – APM is Australia’s largest Disability Employment Service provider with some of the strongest job placement rates in the country. APM help people with a wide range of injuries, illnesses or disabilities get the support they need to find and maintain a job that works for them. Their services are government funded and free. 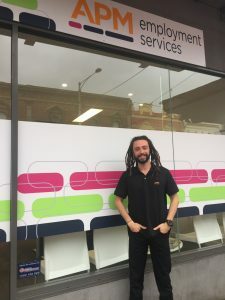 The team at APM have found their feet strongly on Sydney Road and are building great relationships with employers on Sydney Road and in Brunswick!